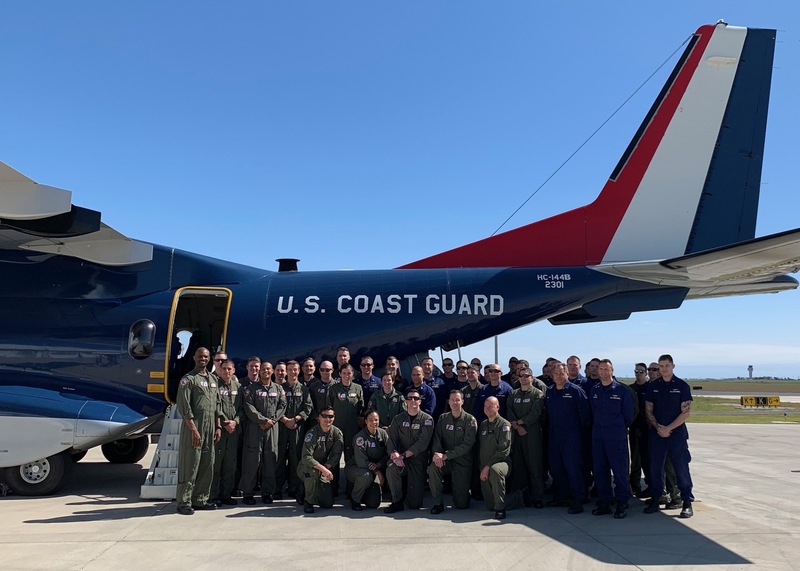 CORPUS CHRISTI, Texas — Coast Guard Sector/Air Station Corpus Christi is scheduled to showcase the recently upgraded HC-144B Ocean Sentry on Saturday. What: Sector/Air Station Corpus Christi is inviting media to learn about the new enhancements to their HC-144B Ocean Sentry medium-range surveillance aircraft. When: Saturday, March 2, 2019 at 8:15 a.m. The bravo upgrade expands the HC-144’s extensive sensor capability, aiding the Coast Guard in its maritime patrol, drug and migrant interdiction, disaster response, and search and rescue missions. The Coast Guard is also integrating the Navy’s Minotaur mission system architecture across its fixed-wing aircraft fleet. With the sophisticated command and control system, the aircraft incorporates surveillance and reconnaissance equipment to allow aircrews to gather and process surveillance information that can be transmitted to other platforms and units during flight. The Coast Guard upgraded the HC-144 aircraft to improve mission effectiveness and situational awareness, as each newly modified aircraft features an updated cockpit control and display unit, navigation, and equipment monitoring systems. Media interested in attending are requested to arrive no later than 8 a.m. and should RSVP by 8 p.m. Friday, by calling Sector/Air Station Corpus Christi Public Affairs at 361-438-0176.